Several years ago, National Semiconductor came out with some very high performance, easy to use audio power amplifier ICs. I was in need of an extra amplifier so I could biamp some of my home-built electrostatic loudspeakers so I tried the LM3886 chip. This part was chosen because of the ease of use, power output, turn-on and off thump suppression, low distortion, and built-in protection against shorts and thermal runaway. There isn’t much more to ask of a power amp than that. When driving electrostatic speakers, you can’t have too much protection! 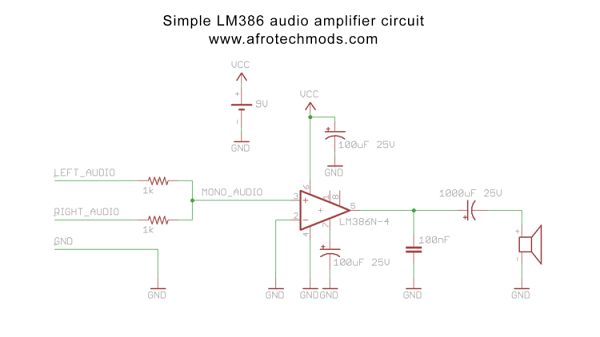 A tutorial on how to use the popular LM386 class AB audio amplifier IC to build a simple mono 1 watt audio amplifier. It costs less than $3 in parts! There is also a brief discussion of how to use high pass filters to prevent op-amp oscillation and subsequent noise. More info at Afrotechmods tutorial page. Many years ago I’d read about the type of tube that is now often referred to as a “Gammatron” – a “gridless” amplifier tube of the 1920s, so-designed to get around patents that included what would seem to be fundamental aspects of any tube such as the control grid. Instead of a grid, the “third” control element was located near the “cathode” and “anode”. As you might expect, the effective gain of this type of tube was rather low, but it did work, even though it really didn’t catch on. It was the similarity between the description of the “Gammatron” and these “rod” tubes that intrigued me. More details at KA7OEI’s blog. Mullard 3-3 is quiet popular 3W tube amplifier introduced by Mullard Ltd in 1956. A schematic and design detail of this amplifier is available in “Mullard Circuits for Audio Amplifiers” book and in National Valve Museum article. 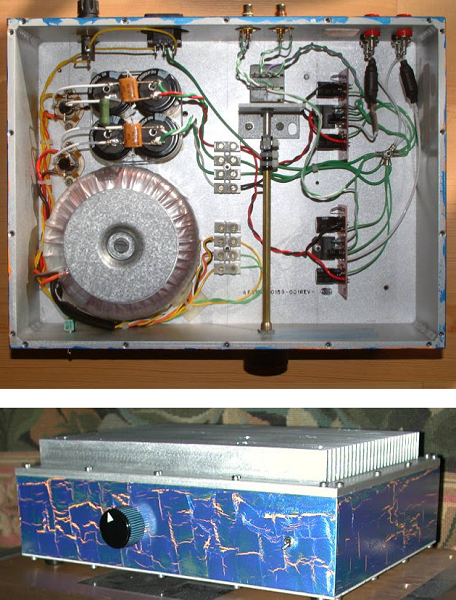 This amplifier is based on EF86, EL84 vacuum tubes and EZ80 full wave rectifier tube. 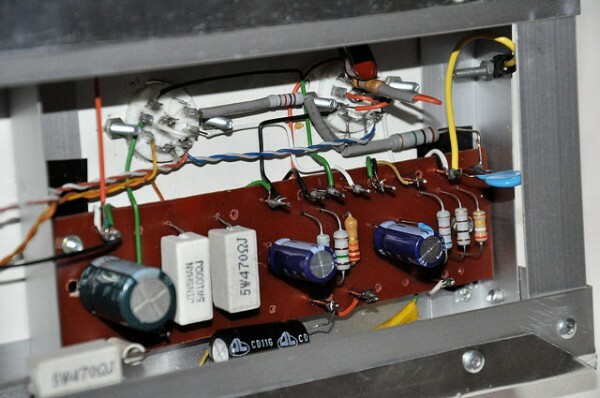 In this project we decided to construct this original Mullard 3-3 Amplifier with some slight changes and commonly available electronic components. In our prototype we replace EZ80 tube with 400V 5A bridge rectifier which is commonly available in many electronic spare parts shops. Also we replace EL84 with 6P14P pentode and EF86 with 6J8 pentode. Both of these valves can directly use with this circuit and those values are available for lesser price than EL84, EF86 tubes.